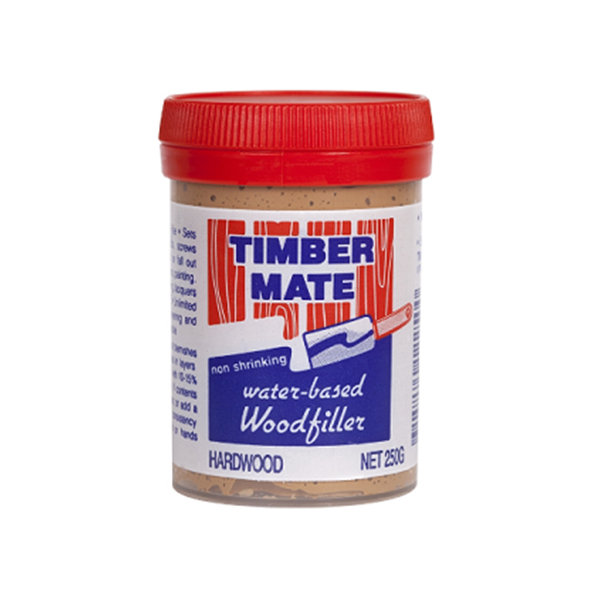 Timbermate Wood filler is an Interior grade 4 in 1 Wood Putty, Grain Filler, Edge Filler and Crack Filler. 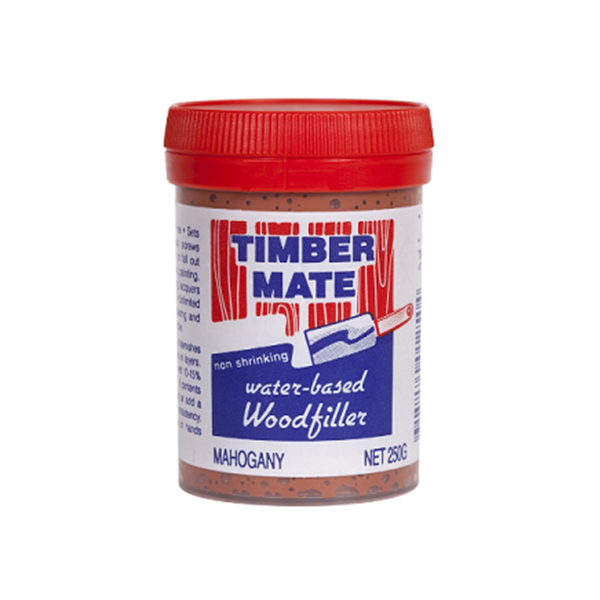 It can also be used as a sanding sealer when thinned slightly with water. 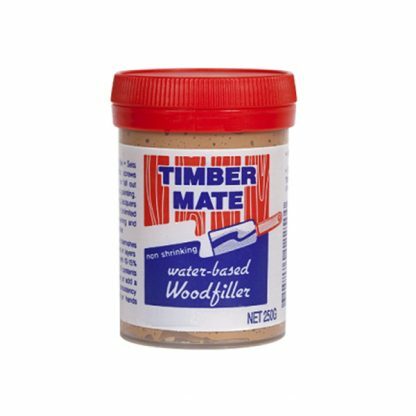 Timbermate doesn’t shrink, sink, crack or fall out and has an indefinite shelf life. It is non-flammable, non-toxic and can be used to the last gram. 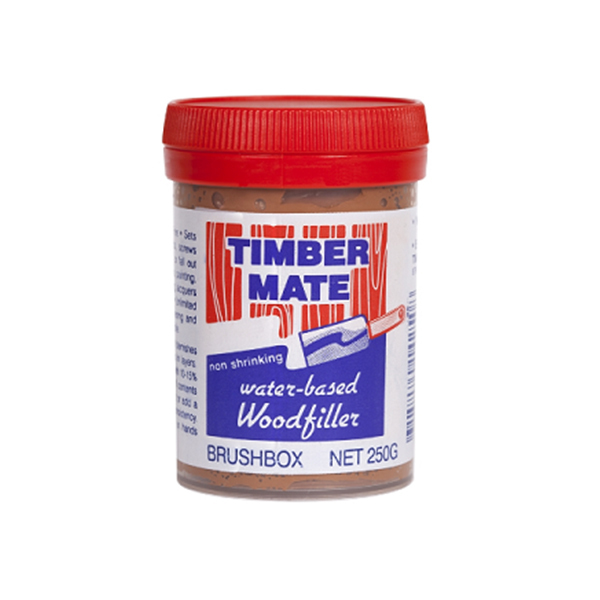 We stock a variety of colours including Brushbox, Mahogany, Ebony, Hardwood, Walnut and Natural (Tint Base). See description box below for more details. 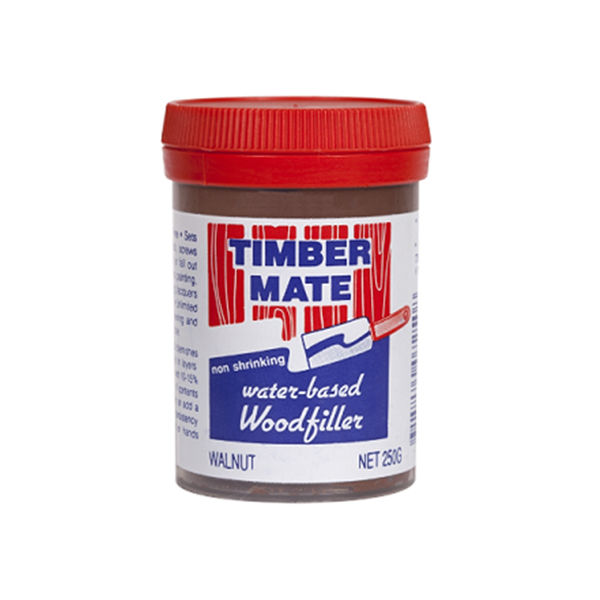 Timbermate Wood filler is an Interior grade 4 in 1 Wood Putty, Grain Filler, Edge Filler and Crack Filler. 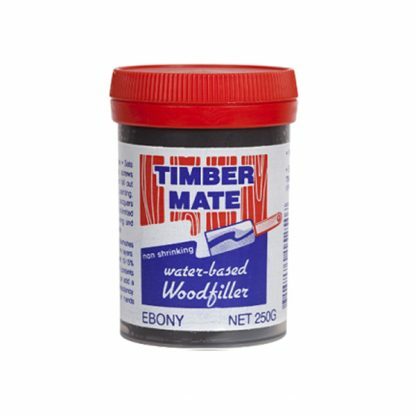 When thinned slightly with water, it can also be used as a sanding sealer. 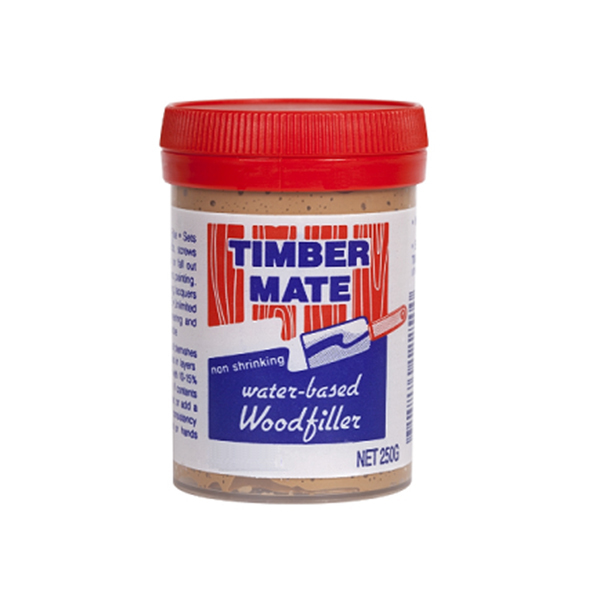 Timbermate does not shrink, sink, crack or fall out and has an indefinite shelf life. It is non-flammable, non-toxic and can be used to the last gram. 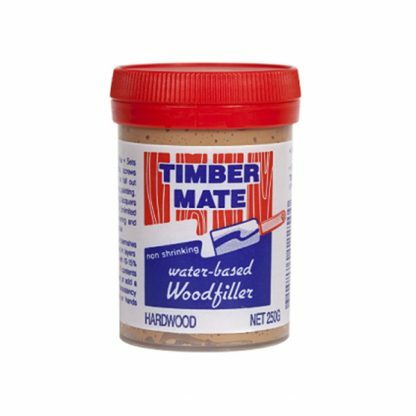 The secret ingredient of Timbermate is tap water, therefore containing no Acrylic, Latex or Solvents. We stock a variety of colours including Brushbox, Mahogany (Meranti), Ebony, Hardwood, Walnut and Natural (Tint Base). No waste, usable to the last drop. If the tub dries out, simply add water to soften. It won’t Shrink, Sink, Crack or Fall Out. Suitable for use in all Timbers including Particle Board M.D.F. (Custom Wood) *Plaster Board, Flooring, Panelling etc. 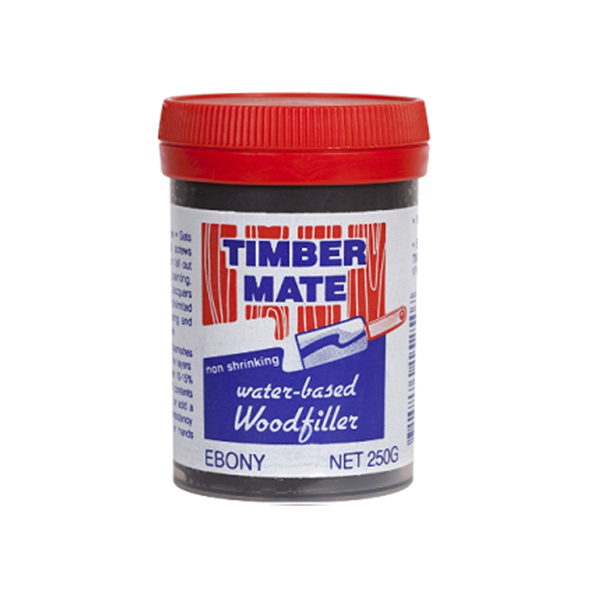 Can be used as Wood Putty, Sanding Sealer, Prime Coat, Grainfiller, Crackfiller, Undercoat & Edge Filler all in one. 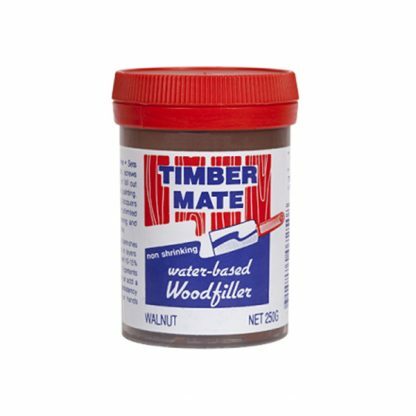 Available in various Timber Tones plus Natural. Use White for top coats only. 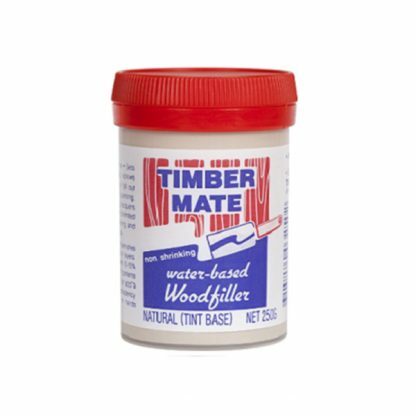 You can tint Timbermate in a wet state or overstain when dry. Use any type of Colorant i.e. Water Based Spirit based ochers etc. Easy sanding, will not clog paper when dry sanded. You can mix the dust with water for re-use. Fast drying, approx 20-30 min. You can speed that up by drying with a heat gun or lamp. Temperature can affect drying time. Clean hands or tools with water. Non Flammable, Non Toxic, Non Yellowing. Solvent, Latex and Acrylic Free. 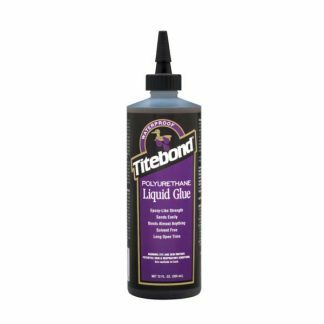 Provides a strong foundation for all top coats inc. 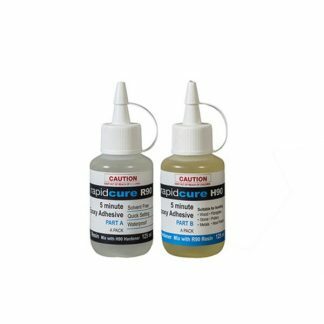 Single & two pack products polyurethanes, oils, acrylics, french polish wax etc. 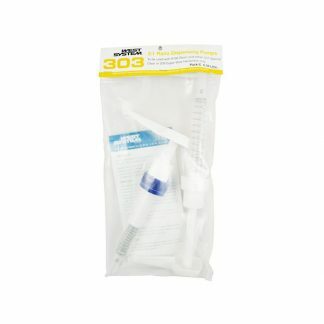 You can use it on Metal, Plastic, Fibreglass and in Foundries.